The number of drug-induced abortions performed in the state fell sharply in the first full year after the enactment of a controversial 2013 abortion law, parts of which were struck down this week. 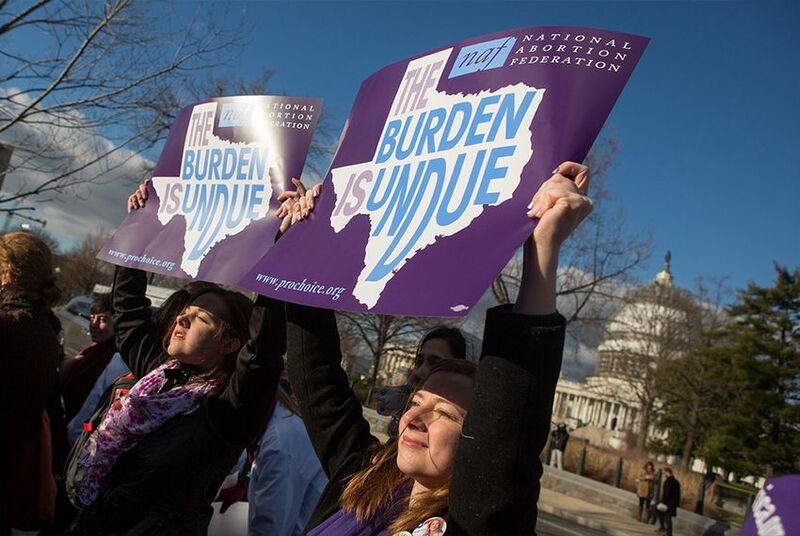 Three days after the U.S. Supreme Court struck down more stringent regulations of abortion facilities imposed by Texas lawmakers in 2013, the Texas Department of State Health Services released statistics showing that the number of drug-induced abortions performed in the state fell sharply in the first full year after the law went into effect. As the Tribune’s Alexa Ura, Aneri Pattani and Annie Daniel report, the “significant drop in drug-induced, or 'medical,' abortions — to 4,938 in 2014 from 16,189 in 2013 — appears to have partly driven the overall drop. The overall number of abortions dropped to 54,902 in 2014 — down from 63,849 in 2013,” representing a 14 percent decrease. Analysis: No Political Benefit if Voters Can't Feel Tax Relief, by Ross Ramsey — Texas lawmakers want to get a leash on property taxes, which requires them to restrain local governments. The local governments point to expensive state government mandates that drive up their costs. It's hard to fix blame, or credit. More Lawmakers Call on Texas to Postpone Therapy Cuts, by Edgar Walters — With two weeks to go before Texas is set to slash a program's funding that pays for therapy services for children with disabilities, therapy providers are announcing new support from state lawmakers to postpone the cuts. Abortion Ruling Leads Texas Politics News (Video), by Alana Rocha and Justin Dehn — In the Roundup: The High Court overturns the state’s abortion regulations, the Texas Attorney General weighs in on the Fort Worth superintendent’s transgender policy and a new poll shows a little promise for the Clinton campaign in Texas. Pentagon Lifts Ban on Transgender Troops, by Isabelle Taft — U.S. Secretary of Defense Ash Carter announced Thursday that the Pentagon is lifting its ban on transgender troops. While some Texas lawmakers have raised concerns, transgender Texan service members and LGBT advocates are cheering. Paxton Drops Challenge as Exxon Mobil Probe Shifts, by Khorri Atkinson — Texas Attorney General Ken Paxton and his Alabama counterpart have dropped their legal bid to squelch a U.S. Virgin Islands investigation of Exxon Mobil after the U.S. territory agreed to with draw a subpoena for company documents. • While several high-profile cases have fueled a national debate on police shootings, there is no comprehensive data on such shootings in Texas. With reader support, we hope to introduce a new layer of transparency here. And you can help. Click here for more information on how to assist in making this project a reality.